I am doing my doctorate at Koç University Department of Archaeology and Art History. 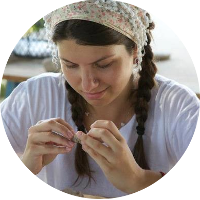 At the same time I am working as a pottery specialist in the Tell Atchana/Alalakh Excavations in Hatay and the Regional Surface Survey Project of the Amuq Plain. 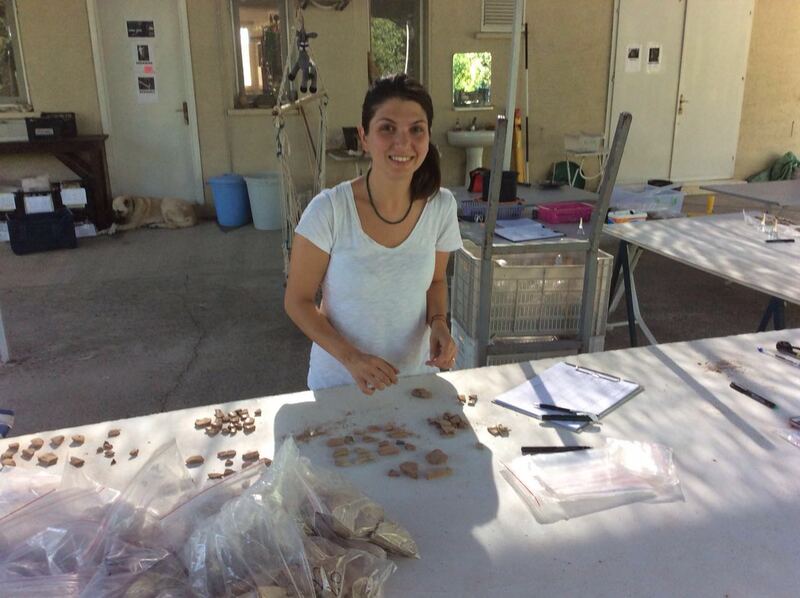 After completing my master education, I worked as a technician and collections manager at Koç University Archaeology Laboratory for one year. It was about archaeology, but it was not an academic job. In fact, I was not always into archaeology when I was a child, but I grew up with art and always loved to read and research. Because of my interest, I chose the Department of Archaeology and Art History. (This was the name of the department in 2009, when I graduated.) In fact, I decided during my last year in the department that I wanted to continue my career in archaeology. First of all, because the language of the education is English, I have seen, and I still see, the great benefit of being able to do my profession on a second level outside my mother tongue. This gave me the opportunity to be an international researcher and to benefit from more resources while doing research. By taking courses in Archaeology, Art History, Museology, and other such fields, different but interconnected, I learned something about each and I had the chance to decide in which area I wanted to specialize. At the same time, I participated in the Kinet Höyük excavations directed by Marie-Henriette Gates. I gained excavation experience and I decided I really wanted to do this profession. All of the teachers are experts in their field and very good at transferring their knowledge. I took many courses on different periods, cultures and areas in this department which enabled me to have a broad perspective. Thanks to the archaeological site tours organized during the school year, I understood better what was explained to us in the classroom about ancient settlements, their geographical settings, and their cultures. In addition, in technical courses, such as archaeological drawing and surveying, I learned methods that I could apply to the projects I took part in. I think archaeology is a profession that needs to be done from the heart because it requires a lot of effort and self-sacrifice. 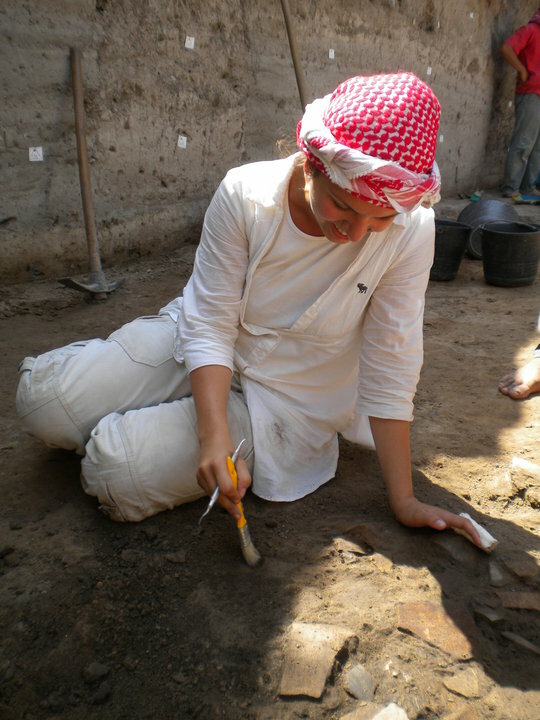 For this reason, loving this work, adapting to the conditions of the excavation and the working tempos, devoting a serious amount of time to studying and researching, the ability to improve yourself are the important aspects of this profession. I would recommend that students who are considering archaeology take these into account. And when I say that I am an archaeologist, a great majority of people say, "I always wanted to be an archaeologist when I was a kid," but in fact they don't know what an archaeologist's working life consists of. For this reason, I would also recommend that those who think of choosing this profession should first listen to an archaeologist about how it is done.